The Alter Bridge offshoot’s first concept album tells the story of humans and fabricated beings trying to co-exist at the turn of the next century. “I’ve never in my entire career, ever wanted to do a concept record or ever thought it was something that I could wrap my head around; it was never something that was on my radar,” frontman Mark Tremonti tells Metal Wani. “I’ve been a songwriter since I was eleven trying to tinker around writing tunes and it was never something that I wanted to do but, the only record I can really remember owning that were concept records were my King Diamond albums, and it just, it wasn’t something where I ever sought out to do it. The rocker is working on turning the tale into a full-length work of fiction with the help of American author John Shirley. 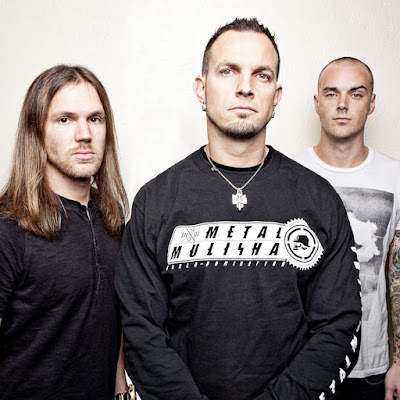 Tremonti will launch “A Dying Machine” on a summer tour of Europe that will begin with an appearance at the Firenze Rocks festival in Florence, Italy on June 17 followed by headline dates starting in Munich, Germany the next day.